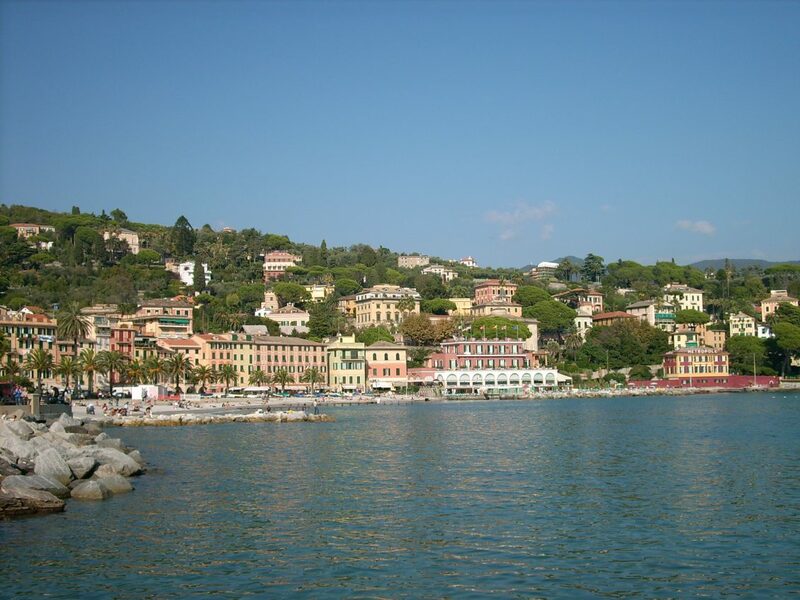 Welcome to the rather chic corner of our region: Santa Margherita Ligure! We find ourselves on the eastern part of the Portofino Promontory where the hills of the Mediterranean scrub drop into the sea around the Costa dei Delfini. Santa Margherita, together with Portofino, represent the glamorous part of Liguria, where side by side with the traditional fishermen’s boats docked in the port you can find luxury yachts owned by national and international VIPs. 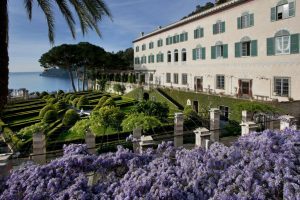 If you are not particularly interested in hobnobbing, here are two ideas for you to get to know Santa Margherita: Villa Durazzo and La Cervara, the Abbey of San Girolamo al Monte di Portofino. was built in 1600 facing the sea and surrounded by a splendid park. 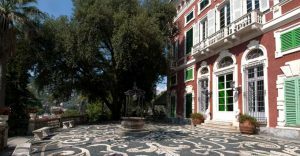 Full of works of art, from statues to frescos, majolica floors and Murano chandeliers, the Villa is now the property of the local Comune and is managed by the Santa Margherita Project. For further information, visit the website of Villa Durazzo. Another jewel on this part of the coast is, La Cervara, The Abbey of San Girolamo al Monte di Portofino. The panorama on view from its luxuriant historical Italian gardens is incredible – a concentration of botanical species exuding colour and perfume and dominated by a gigantic wisteria. The origins of the Abbey go back to 1361, when its first inhabitants were Benedictine monks and it has since been frequented by many illustrious visitors incuding Francesco Petrarca and has also served to imprison Francis I, King of France. For further information, visit the La Cervara website. Rapallo is the ideal place for golf lovers. 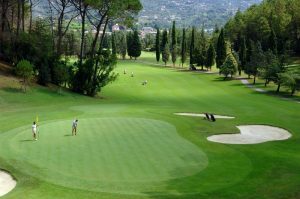 Opened in 1931, the Rapallo Golf and Tennis Club offers an 18-hole golf course, surrounded by centuries-old trees and the view of the bell tower of the Monastery of Valle Cristi. This is the first Club certified for disabled golfers. For further information, visit the Circolo website.